A lot of our readers are interested in learning about the sometimes-tricky world of plastic adhesives and plastic welding. While picking the right plastic adhesive can make you wish you’d majored in chemistry, welding is arguably the better method for fusing two plastic components. It tends to be more effective than using glue and can be done quickly and cheaply if you have the right tools. There are so many plastic welding techniques that I couldn’t even fit them all in this article. Here are just 10 examples, to give you an idea of the many options available. A bead of the same materials is extruded between two sections and then the two sections are immediately pressed together. The heat in the extruded bead is sufficient to cause it to weld to the adjacent surfaces. Rapid angular oscillations are applied to heat the plastic parts to be joined. This variation of the spin welding process is used for parts that are not symmetrical about an axis of rotation. The equipment must be programmed to stop when the parts are properly positioned for joining. 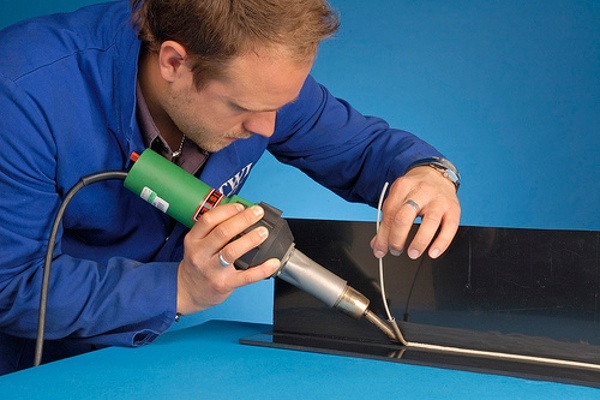 A method of welding plastic components in which the surfaces to be joined are heated by contact with electrodes of a high frequency electrical generator. Welding guns for plastics contain an electrically or gas heated chamber through which a gas, usually dry air or nitrogen, is passed. The heated gas is directed at the joint to be welded, while a rod of the same materials as the thermoplastic being welded is applied to the heated area. Two plastic surfaces to be joined are first held lightly against a heated metal surface, which may be coated with PTFE to prevent sticking, until the surface layers are melted. The surfaces are then quickly brought together and held under light pressure until cool. A conductive metal insert is placed on the interface of two sections to be joined. While applying pressure to hold the sections together, the welder heats the metallic insert by means of a high frequency generator until the surrounding plastic material is softened and welded together and then cools the joint. The two parts are put under pressure while a laser beam moves along the joining line. The beam passes through the first part and is absorbed either by the second part or an absorbent coating, generating enough heat to soften the interface and creating a permanent weld. 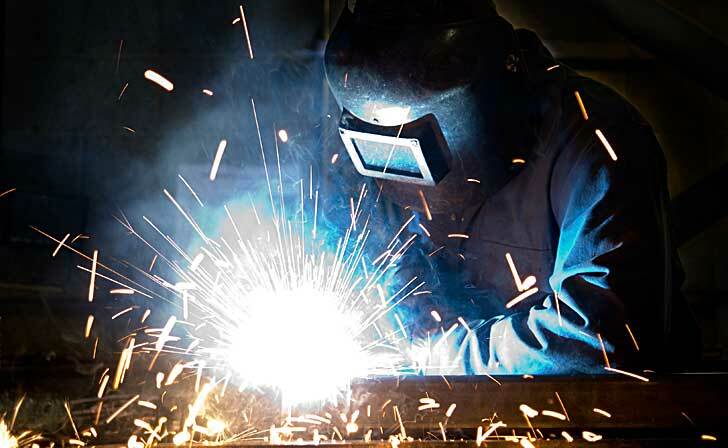 The welder applies a solvent capable of softening the surfaces to be joined and presses the softened surfaces together. Adhesion is attained by means of evaporation of the solvent, absorption of the solvent into adjacent materials and/or polymerization of the solvent cement. Plastic components of circular cross section are rotated, one part in contact with the other, until sufficient heat is generated by friction to cause a melt at the interface, which solidifies under pressure when rotation is stopped to weld the articles together. 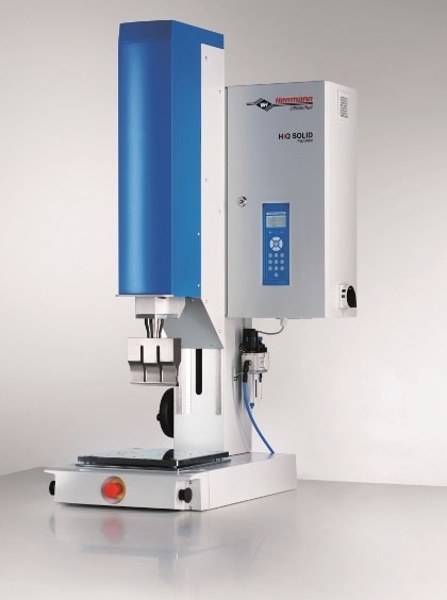 The process can be performed manually in a drill press with suitable chucks to hold the parts, or can be automated by adding devices for feeding, timing, controlling stroke and pressure of the press, and ejection. A method of welding or sealing thermoplastics in which heating is accomplished with vibratory mechanical pressure at ultrasonic frequencies (20 to 40 kc.) Electrical energy is converted to ultrasonic vibrations by a transducer, directed to the area to be welded by means of a horn, and localized heat is generated by the friction of vibration at the surfaces to be joined. Did I skip your favorite plastic welding technique? Have a question? Tell me about it in the comments section below. Interested in learning more about plastic manufacturing techniques? 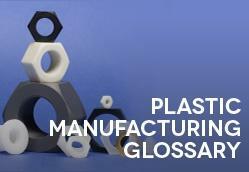 Download our free glossary! I read the short comment (above)on solvent welding, and am wondering if you can help with a problem situation. I have a 97 Jaguar with a slide/tilt type moon roof, and one of the parts of that mechanism, which is plastic, has broken. it is the top part of a plastic piece that holds one of the lift arms at the rear of the roof. It has a round hole into which the end of the tilt arm sits. The tilt arm obviously is spring loaded for lift, although the lift distance is only about 2.5 inches.Not knowing for sure what kind of plastic the part is, makes it hard to determine how to fix it. I have researched a number of plastics, and PP plastic seems to be used a lot in auto components?? Maybe you know if that is likely in this part? ?Is this component something that could be bonded or welded with a solvent adhesive. I have repaired other items in the past with that method. I had a train set when young, that had plastic buildings that you built by gluing the walls together, they were in a sheet that you pressed the pieces from. I also had a friend at that time who worked in British Plastics in Melbourne Australia, who brought me home a clear, thin liquid in a bottle and he put it into a tray with a felt pad in it, and I just pressed the edges of the parts into the adhesive, then pressed them together and they were welded together in seconds. It was a quick, strong and permanent method, although he warned me to be very careful with it. Since the “bearing” surface on this part is quite small, I am hoping this might work as the two plastic surfaces become part of each other, and hopefully stronger than if just using a “non-penetrating” adhesive The issue now is, that if there is some solvent type adhesive that does that, I would like to know what it is called and where i could get some. I realize this is a bit of a long shot, however appreciate your time to read this and to answer if you are able. Thanks a lot! The answer will depend largely on the type of plastic the broken part is made from. I doubt if its PP (polypropylene). Have you tried to research this with Jaguar? Maybe a local dealer could be of help? If you can determine the type of plastic, we can probably recommend a solvent. Good luck! I’m not sure what the kind of plastic the screen is made of – making your question tough to answer. I would think the heat from a lighter would be tough to control for an even weld. How about trying an iron? We’d need to know the specific plastic the hood is made of. Perhaps John Deere customer service would be able to tell you? Need to know if you can weld a polyurethane liners on an elevator machine in Montreal. I would suggest checking with a liner producer – they would be in the best position to advise you. Good luck!